The number one seller. 1½ inches long, round-plump. 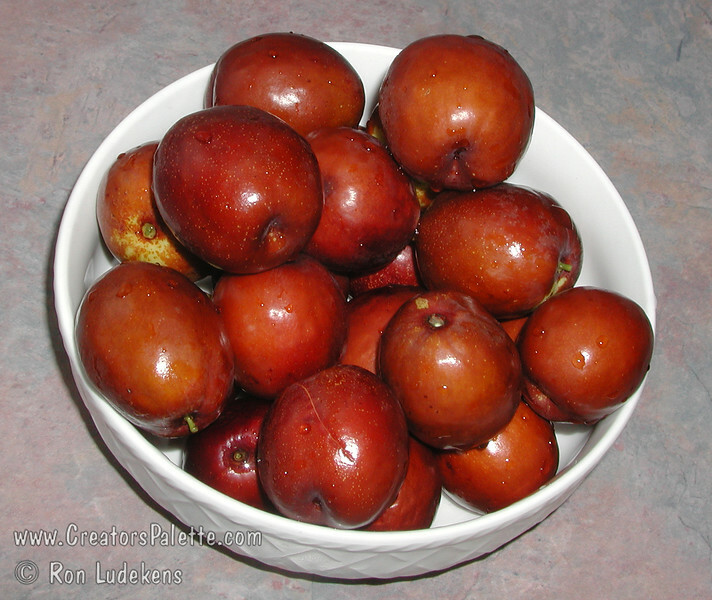 Unlike Lang, can be picked yellow-green and will finish ripening off the tree to wrinkled, mahogany color. More arched branching structure than Lang. Ripens: Fall, mid season, slightly later than Lang. Drought tolerant. 150 hours chilling required.